Coming soon is my brothers weddings, so recently I've been trying different makeup looks out on my mum. We had a money off voucher for No. 7 so decided to have a little nosey as normally we don't bother, and we came across these gorgeous Stay Perfect Smoothing Eyeshadow range. 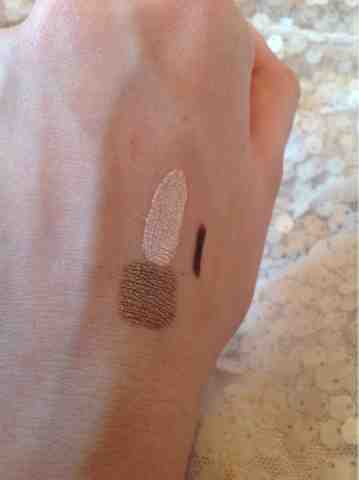 They say its a "soft cream eyeshadow which glides on easily for crease resistant, blendable, long lasting colour." When we tested them out on our hand they looked absolutely gorgeous and had the most perfect amount of shimmer when it hit the light. We picked up 2 shades as it had a special offer like buy one get one half price I think, we got Pretty Pink and Bronze. I've tried them on my mum since and we are both thrilled. We didn't know if they would stay long on the lid but they did and didn't crease an inch! I applied it on my mum with a eye shadow brush instead of with the doe applicator that it comes with. I definitely think these are worth checking out, especially I've you've got the money off voucher! What's your fav no.7 product?